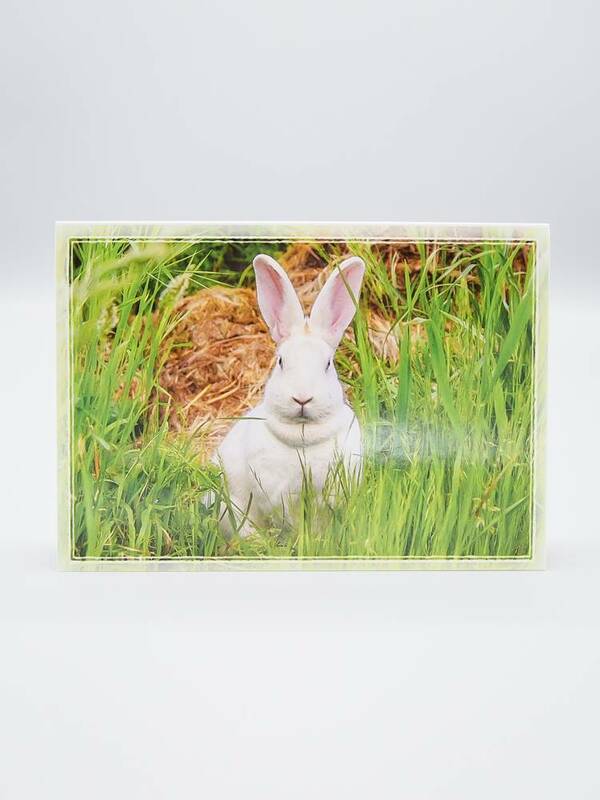 Blank 5" X 7" greeting card with plain white envelope featuring Lily, a survivor of cosmetic testing. 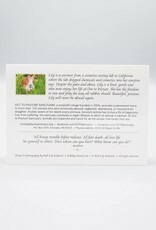 She now thrives peacefully at Out To Pasture. 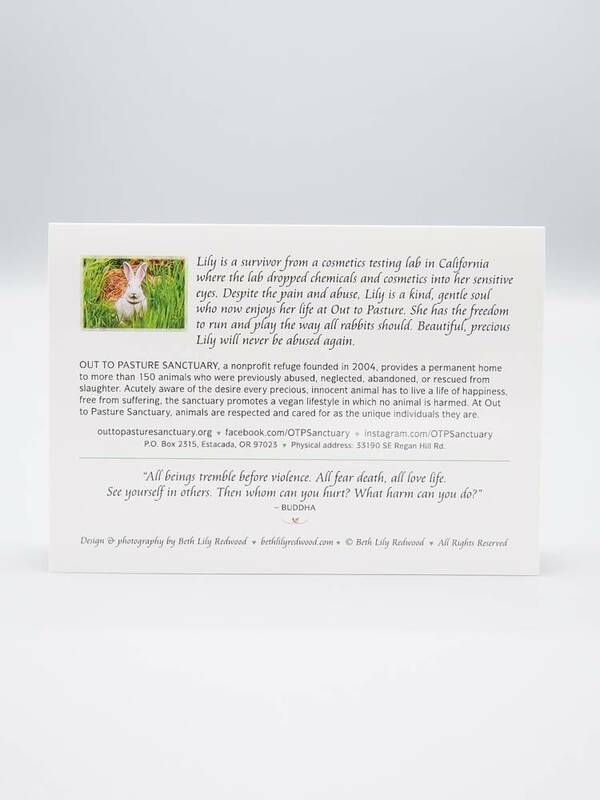 Each card benefits Out To Pasture Sanctuary, a local nonprofit refuge that provides permanent homes to more than 150 rescued animals. 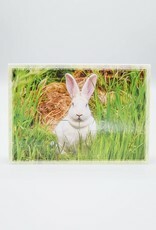 Designed and photographed by Beth Lily Redwood.